Triple layer effect. Hand braided leather strips were stacked atop of each other to create this eye catching accessory. 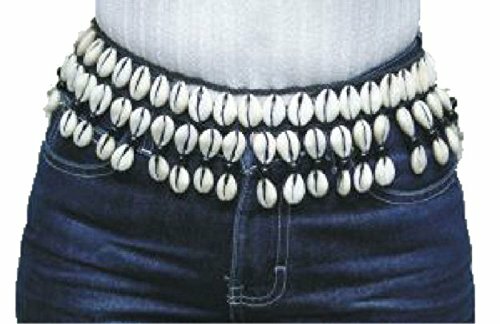 All three rows of cowry shells are individually stitched to achieve this tiered look. 47" in length. Note: The photo shows the back of the belt. The belt ties in the front with split straps. If you have any questions about this product by African Inspired Fashions, contact us by completing and submitting the form below. If you are looking for a specif part number, please include it with your message.